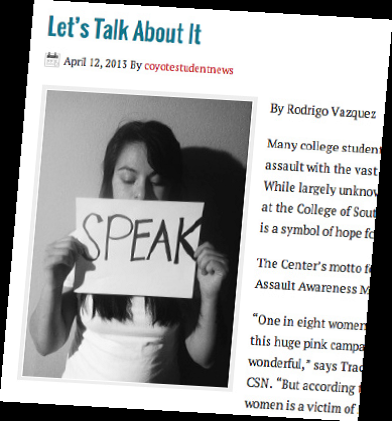 Coyote Student News, the College of Southern Nevada’s student-run online newspaper, had its anniversary Oct. 8, 2013. It served the local community and the College. Unexpectedly the readership grew internationally to 83 countries including: Canada, the United Kingdom, Peru and India. The website had 19,700 unique viewers in its first year. Students from the news production course Journalism 105, in addition to student freelance writers, worked tirelessly on bi-weekly publishing dates throughout the spring and fall terms. 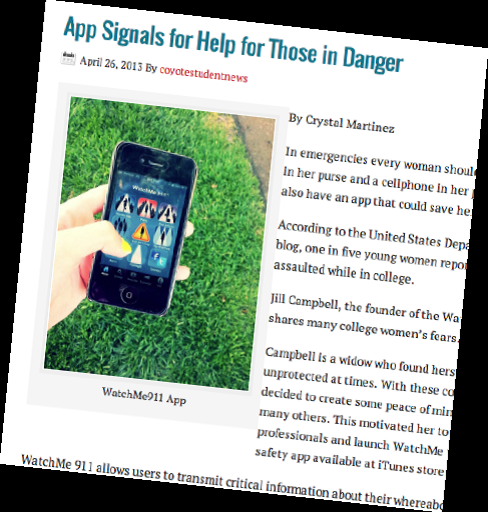 In 14 press cycles, 150 articles, countless images and dozens of videos were published. The articles with the most views overall included: “CSN baseball revitalized by Coach Garritano” by Fabiola Marzano, “Discounted dental care offered at CSN” by Ricardo Torres and “Obama recognizes CSN student in immigration reform speech” by Ricardo Torres. Recent news articles have seen substantial traffic including: “CSN students can access unlimited free tutoring” by Joe Baker, “Social media affects grades” by Joaquin Lomeli Jr. and “CSN students volunteer at Opportunity Village” by Jeff Knight. Pillars of the publication include: arts and entertainment, campus, community, politics, science and technology, social, business, sports, features, education and health, as identified on the website. 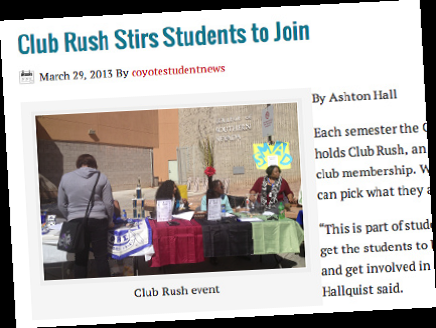 Coyote Student News aims to provide accurate, transparent, and ethical journalistic currency to serve students, faculty, staff and the local community.